On this day 30 years ago, in 1989, English scientist Tim Berners-Lee was credited with inventing the World Wide Web. The World Wide Web has been central to the development of the Information Age and is the primary tool that billions of people use to interact on the Internet today. One famous interaction on World Wide Web is very close to Innovact Consulting’s heart, the first live feed webcam. 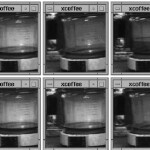 This was put in place in 1991 and dubbed the “Trojan Room Coffee Pot,” the video feed solely featured the coffee pot in University of Cambridge’s coffee room. The only goal was to prevent the university’s computer scientists from going to get coffee only to find out that the pot was empty! From these great initiatives (World Wide Web and coffee machine monitors) we are able to design future magic!